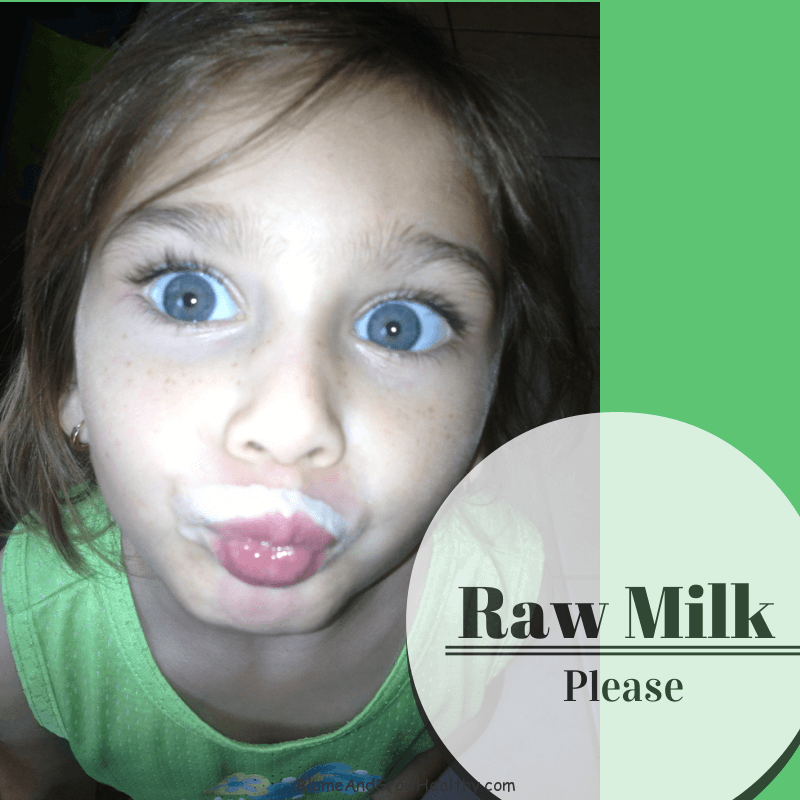 Raw Milk, is it Bad For You? Raw Milk. Should this be whispered? Time to Rethink. Who determines what you think? To whom are you listening? Why do we believe that raw milk is bad? It happened for me after my first child. Everyone told me what I should do, what I should eat…Give shots, medication to kill any and all bacteria, and feed him formula; formula is better and if you want to get out of the hospital faster, don’t nurse him, give him the formula from a can. I only heard the fear in the advice given. It just didn’t make sense. Then, as we foster with hopes to adopt, most children come into our home very sick, full of antibiotics, bad diets, and soy milk (for babies labeled lactose intolerant). Is there a correlation with canned, processed, pasteurized food and sick children? We think so! The more children we are privileged to meet and love and teach, the more we actually learn. Changing the diet is so impactful to the health of a child. Check out this site for some viable options to nourish the ones you love! We repeatedly see such a tremendous improvement in our children’s health by simply incorporating raw milk full of nutrients and good bacteria. Even better is the yogurt that is easily made from the raw milk. Interestingly, I thought most people knew this information. Now I know differently. Just people around us know the value of nutrient dense food, starting with good raw milk. There are many that still don’t know and we share with every person we meet in our world; hospital staff, foster staff, biological parents. Too many haven’t even tried because of unfounded fears. True Story: There once were two doctors who lived in France. One believed in order to prevent sickness and disease, food should be cooked or steamed to 170°F to kill any and all bad bacteria. His name is Dr. Pasteur, hence the word pasteurized on all grocery-purchased dairy products. Killing is good when overwhelmingly bad bacteria. But there is another approach. Dr. Beauchamp believed it important to put good bacteria into the gut via fermented/cultured foods. His approach was to build the immune system by giving the right tools to your body, such as good bacteria, and let them overcome the bad bacteria. On some level, both approaches are useful. However, many societies seem to only pasteurize and pasteurize everything from milk, cheese, butter, to eggs and more. When pasteurizing, every nutrient-dense microbe that is designed to help you is killed. Good bacteria exists to help you digest your food and fill your gut with this good flora. Therefore the benefits claimed in pasteurized foods may be doing the very opposite! Remember, the elevated temperatures not only kill the bad bugs, but it kills the good bugs that we need. Do your research and include this site information as a part of your discovery. If you haven’t seen the documentary film, “Farmageddon“, I highly recommend it! Terrific education provided by a tenacious, educated Mom. Also, check out your local farmer that is organically minded. Here is a great resource to find a local farmer, through Weston A. Price. You will get comfortable with the love and care taken with these animals. They are not crammed in small areas and given antibiotics, bad food, or bad food. These animals are grass fed with little or hopefully no pesticides. And you will be helping your local community economy tremendously. Consider Raw Milk. It will certainly change the health of your family for the better; just make sure you have no dairy allergies! This is clearly the way milk was intended to be consumed. And it is comforting to know that these animals are treated with care and given space to roam. Remember just 50 years ago, more people were drinking raw milk than pasteurized milk. Now it is flipped. This is a case for choice and education. May you Foster Nutrition for you and those you love.